Today’s Final Jeopardy answer (in the category International Borders) and statistics for the Wednesday, February 6, 2019 game between Bif Reiser, Bryan Coyle, and 3-day champion Will Dawson. 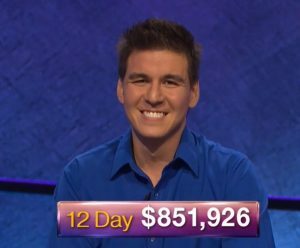 Will Dawson of Washington, D.C. returns as Jeopardy! champion; see who joins him here!